Drive is a powerful, original film. Starting out slow, but in a good way, it has a feeling of smoldering suspense. And then the film explodes with high speed intensity. At the center of this film is a quiet, brooding stunt driver, played brilliantly by Ryan Gosling. Gosling’s character dabbles in driving the getaway car for two-bit criminals. But eventually he ends up in the middle of a criminal group that is anything but two-bit, and must shift into overdrive to fight his way out of the situation. Gosling’s performance is incredible. He believably shifts from showing his softer side, caring for his neighbor and her son, to picking up a sawed-off shotgun and blowing the head off a mob member. 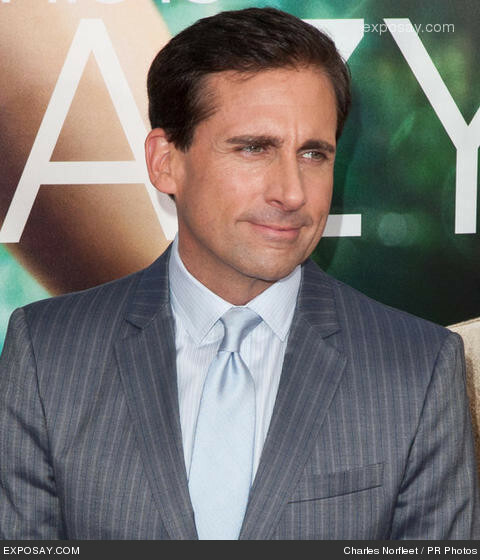 He may be the most versatile actor in Hollywood today, considering that he just excelled in Crazy. Stupid. Love. Also worth noting is Director Nicolas Winding Refn. This film has some amazing scenes, shots and angles. From close-ups of Gosling slowly making a fist in his leather driving gloves, to a final struggle shown only by the shadows on the parking lot. This is an intense (and violent) ride that you won’t want to miss. 10) Can You Feel the Love Tonight (1994) – During the 90s, Disney won 5 Best Song Oscars. While some of them nauseate me a bit, it’s hard to deny Elton John’s work in The Lion King. 9) Theme From Shaft (1971) – Its actually hard to believe that the Academy was ever cool enough to realize the brilliance of Isaac Hayes. 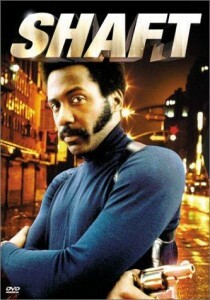 ”You say that cat Shaft is a bad, mother-..Shut your mouth, I’m only talkin’ about Shaft…” Classic. Zip-a-Dee-Doo-Dah (1947) – OK, its definitely a dated, creepy song, but this one makes the list for sheer catchiness. Who amongst us hasn’t walked down a sidewalk, singing or whistling this song at some point in their life? (OK, maybe it’s just me). 7) Evergreen (1976) – Sappy, but beautiful. Still a wedding favorite. 6) Lose Yourself (2002) – Like Shaft, its surprising that this one got through the stodgy academy. 5) My Heart Will Go One (1997) – I don’t particularly love this song, but it is undeniably an epic song from an epic movie. For good or for bad, it will stand the test of time, which I think is a key criteria for this sort of list. 4) The Way We Were (1973) – Great songs take you back to the moment, the movie, the period – and this one immediately does that. 3) Raindrops Keep Fallin’ on My Head (1969) – Just a great, great song. Period. 2) Moon River (1961) – Beautiful and timeless. Henry Mancini has written a lot of crappy songs in his day, but this was not only his best (sorry, its way better than the theme from Pink Panther), but it is one of the all-time great songs. 1) White Christmas (1942) – This is such a part of American life that it almost feels like it transcends “song-ness”, sort of like “Happy Birthday to Me” is more than a song. White Christmas is the definitive Christmas song, and has been sung and listened to for almost 70 years. The Morning After (1972) – C’mon? It’s a terrible, depressing, crappy song from a pretty bad (but fun) movie (The Poseidon Adventure). Its Hard Out Here for a Pimp (2005) – What the hell? Did the Academy think that this was going to be hip and memorable like Shaft or Lose Yourself? The only memorable part of this award was that the winners (Three Six Mafia) were as surprised as the rest of the world when they won the Oscar. 5) Thelma and Louise - I don’t feel great about this movie making the list, as I think that Thelma and Louise is a movie that doesn’t really stand the test of time (if you see it now, it seems remarkably dated). 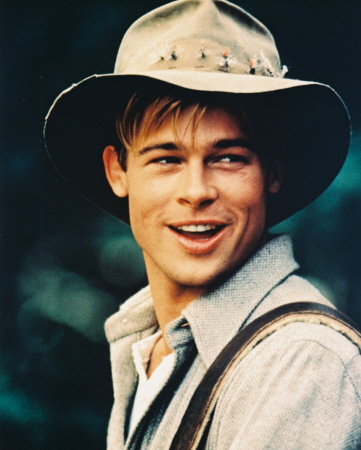 However, it was Brad Pitt’s first legit movie role, and even though it was quite small, he put in a solid, memorable performance as the young cowboy who seduces the cougar (either Thelma or Louise, I can’t remember which). 4) The Curious Case of Benjamin Button – This was an odd, and under-rated movie. Pitt really delivered in a challenging role as the lead character who “youthens” as the film progresses. 3) A River Runs Through It – This was a visually beautiful film that juxtaposed two different brothers in the mountains and rivers of Montana. Pitt was remarkably believable as the fun-loving, nature-loving brother whose charm would repeatedly get him in, and out, of trouble. A signature Pitt scene: late in the film when Pitt latches onto a massive trout and, refusing to let go, floats down the river’s rapids with the fish, finally landing it when they both end up in calmer water. 2) Inglourious Basterds – “We in the killin’ Nazi business – And cousin, business is a-boomin’”. With that line (and many others) Pitt delivers a riveting performance in this very good WWII Tarantino film. 1) Fight Club – As opposed to Thelma and Louise, this is the Pitt film that truly stands the test of time. It is a very good film, driven in large part by Pitt’s raw and powerful performance. And as with most Pitt performances, it comes with some great memorable lines – “The first rule of Fight Club, don’t talk about Fight Club”. When Pitt, or any good actor, really delivers, he doesn’t look like he’s acting. 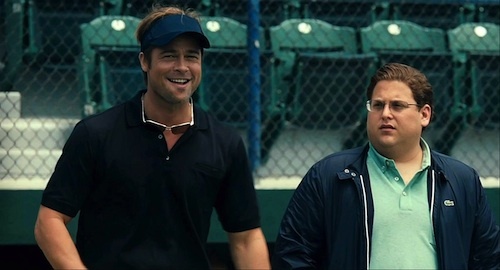 And in Fight Club, you believe Pitt is Tyler Durden. If you happen to see the trailer for Another Earth, you would think that this is a Sci Fi/Thriller film. You’d be only sort of right. Yes, it is involves “another earth” that suddenly shows up in the sky, and all the expected craziness that might come with such an event. But moreover, it is a brilliantly written story about life here on this earth. The story centers on Rhoda, a beautiful, intelligent young woman who is about to start her college life studying astro-physics. Driving home one evening before school starts, she makes a mistake that changes her life, and the life of a stranger, forever. From that point forward, under the shadow of the growing “second earth”, she lives a life of desperation, and ultimately redemption. The story is original, and riveting. The scenes are haunting, beautiful, and at times, incredibly tense. Rhoda is played with such remarkable realism by Brit Marling, that at times it almost has a documentary feel. She has an understated magnetism about her on the screen, such that it is hard to take your eyes off of her as she wills her character to move forward in life. Side note: this talented actress was also one of the film’s writers. 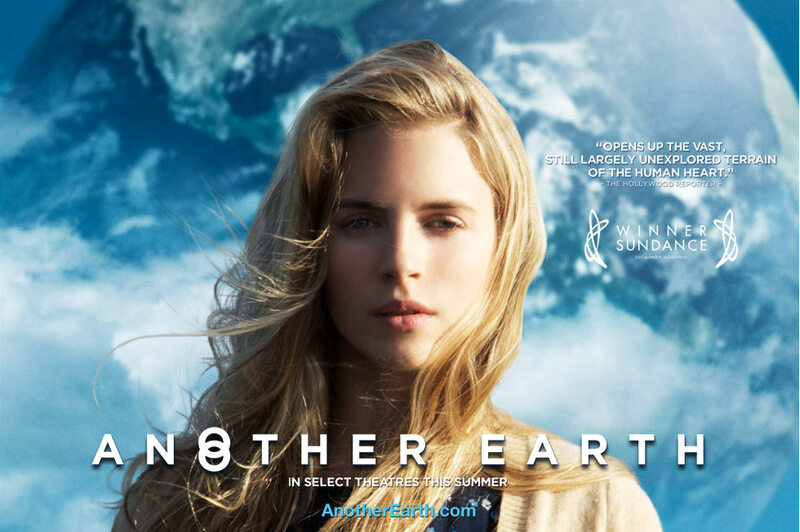 While Another Earth is in limited release (you won’t find it in your typical megaplex), it is well worth the search to find where it is playing. 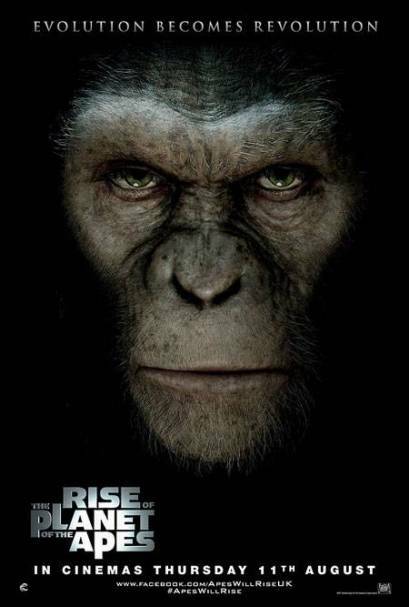 Whether or not you were a fan of the original, Rise of the Planet of the Apes is a prequel that is well worth your time. It is a smart story that logically (within reason), explains how the world could be run by apes. While James Franco is the main human in the movie, make no mistake about it: The lead is the chimp. While I’m not generally a fan of CGI, it works here, arguably better than in any other film to date. 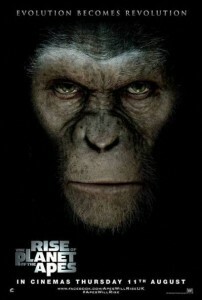 Caesar, the lead chimp, is digitally created so masterfully, you fully believe he is a real, albeit intelligent, chimp. Honestly, the movie works best when the humans get out of the way and the apes are front and center. The film does bog down a bit early on with a lot of semi-boring scenes of Caesar growing up in his human household. During those moments it feels a bit like Harry and the Hendersons. And speaking of Harry and the Hendersons, John Lithgow turns in a brilliantly touching performance as Franco’s alzheimer stricken father. There is nothing really campy about this movie, as there was with the original series. Nor is it unforgettable like the re-make a couple of years back with Marky Mark. Rise of the Planet of the Apes is its own movie, and it is really quite good. Carrey had to be the star of the movie (that eliminated a few earlier films from the list). My test of film “greatness” is fairly simple: how much do I think I will want to watch this movie, 10, 20, 30 years from now. 5) The Truman Show – This represented Carrey’s first effort at a serious role, and he proved himself capable. With Ed Harris in his role as “the Architect”, this movie was unique and thought-provoking. 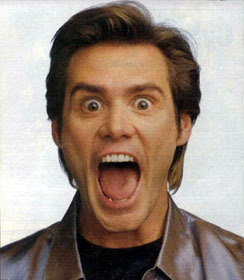 And Carrey really showed his true acting chops. 4) Ace Ventura: Pet Detective – While this was not one of my favorites, at all, for whatever reason my remote stops when I come across this movie on cable. It introduced Jim Carrey to the world (beyond his following on In Living Color), and it showed that he would be the king of physical (and crude) comedy. 3) Cable Guy - Broadly looked on with disdain as “too dark”, I thoroughly enjoy this movie. Carrey’s Chip Douglas character is so creepy and quotable, he’s wonderful. 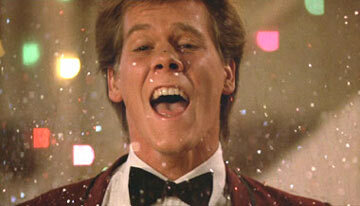 And Matthew Broderick is the perfect straight guy for Carrey to play off of. 1) Dumb and Dumber – This to me is the definitive Jim Carrey movie. It is stupid, and funny, and seared into my brain. He exudes funny from the beginning of this movie to the end. Welcome to Reviewed Films! Reviewed Films is a movie review site like no other – it provides a multigenerational perspective for all of the latest movies. With reviewers ranging in age from 13 to 48, you will definitely find a critic you will enjoy following.